India is a very rich and diverse country. So much so that there are many interesting and unknown facts about India which are even alien to the Indians themselves. 1. Indian Military holds the World Record for accepting the Largest Military Surrender since World War II. 2. In the state of Mizoram, about 65 kilometers away from its capital Aizawl, there are shops without vendors in it. This unique way of business is known as “Nghah Lou Dawr” which means shop without shopkeepers. Small farmers who cannot afford vendors use this way of doing business. Every morning they put fresh fruits and vegetables in bamboo huts. They use display boards to write the prices of fruits and vegetables using chalk or charcoal. They also keep two containers nearby. One for collecting the payment given by the customer. And the other one filled with money, for the helping the customers who do not have change. This is one of the several incredible and surprising facts about India. 3. India’s Ministry of Environment and Forests has declared Dolphins as “non-human persons”. Dolphins they are treated as human beings in India as they have unusual similarities with human beings. Also, captivating dolphins is also banned in India. Dolphins are believed to be the second most intelligent species on Earth after human beings because of their unusual qualities like sophisticated communication like humans, sense of community, self-awareness and abstract thought among many. 4. Mattur is a village in the Karnataka state of India is famous for the use of the Sanskrit language for their day-to-day communication. 5. North Sentinel Island, one of the Andaman Islands of India, is the home of Sentinelese who are among the last people worldwide untouched by the modern civilization. Interestingly, they are also allowed to kill non-Sentinelese people without prosecution. 6. Ajay V. Bhatt, an Indian American computer architect developed the USB (Universal Serial Bus) technology. Not only that, he is also the inventor of AGP (Accelerated Graphics Port), PCI Express and various other technologies. Also Read: Einstein believes that Indians are Stupid. Was he right or wrong? 7. At an altitude of 5,602 meters (18,379 ft), Baily Bridge, located in the Ladakh Valley in Indian State of Jammu and Kashmir, is the bridge at the highest elevation in the world. 8. Officially Mahatma Gandhi is not the “Father of the Nation”. It is one of the most shocking facts about India. This truth is revealed after an RTI filed by the youngest RTI activist 10-year-old Aishwarya Parashar in 2012. Due to this RTI (Right to Information) query, it is revealed that officially no such title has been accorded to Mahatma Gandhi. She then appealed the government to issue a notification declaring Mahatma Gandhi as the “Father of the Nation” officially. To know whether any action on her appeal has been taken or not, she again filed RTI petition. But as per the history, the title of the “Father of the Nation” was given to Mahatma Gandhi by Netaji Subhas Chandra Bose who addressed Mahatma Gandhi as the Father of the Nation on Singapore Radio on 6th July 1944. 9. 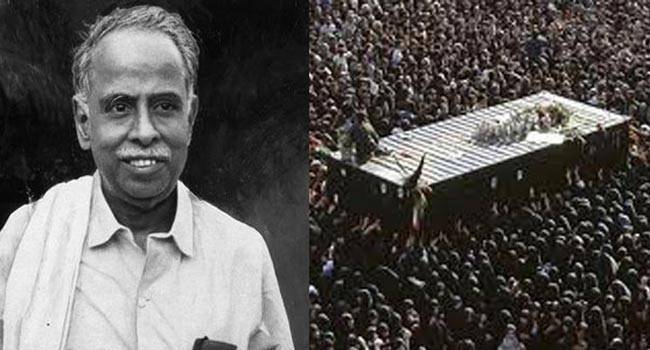 The funeral of CN Annadurai, the first Cheif Minister of Tamil Nadu, has the largest funeral attendance in the world till date. 10. 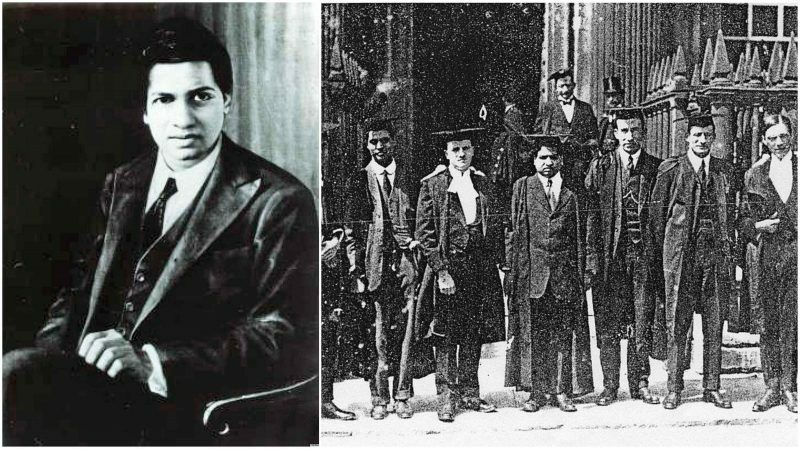 Srinivas Ramanujan is the youngest Fellow in the history of the Royal Society. He became the Fellow of the Royal Society at the age of 31 on 28th February 1918. The Royal Society is the world’s oldest and most respected scientific society. 11. Donald Trump once sued Kotak Mahindra Bank in Delhi HC and settled the case after a 3-year legal battle. Strange but true. Actually, Kotak Mahindra Bank launched a credit card called Trump which Donald Trump saw as a violation of his trademark. So he filed a lawsuit against the bank for trademark violation. 12. In the 1960s, it was mandatory to play national anthem in cinema halls after every movie. That’s why they say that “History repeats itself“. 13. Kadambini Ganguly and Chandramukhi Basu were the first two female graduates not only from India but from the entire British Empire. 14. Sir Jagadish Chandra Bose invented Crescograph, an instrument used to measure growth in plants. 15. Meher Baba, an Indian spiritual master gave up his speech for 44 years till his death on 31st January 1969. He used to communicate with unique hand gestures or an alphabet board. 16. There is a temple named “Chinese Kali Mandir (Temple)” in the Kolkata. In this temple, noodles, chop suey, rice and vegetable dishes are offered as Bhog and Prasad to Goddess Kali. 17. There is a village named “Pakistan” in Bihar, India. 18. V. K. Krishna Menon holds the Guinness World Records for giving the longest speech (7 hours and 48 minutes) before the UN Security Council defending India’s take on Kashmir issue. He collapsed on the Security Council floor during his speech. 19. Auroville (City of Dawn) is an experimental township in the state of Tamil Nadu, India with some part of it in the Union Territory of Puducherry. The township is named after Sri Aurobindo. It was founded in 1968 by Mirra Alfassa (known as “the Mother”) with the vision of making it a universal town where people of all the countries across the globe can live with peace and harmony. 20. Mayong, a village in Assam, India is known as the “Land of Black Magic and Witchcraft“. 21. Samosa is not a native Indian dish. It was brought to the Indian subcontinent by the merchants and traders from Central Asia in the 13th or 14th century. This is one of the most surprising facts about India that Samosa is not an Indian dish. If you like our article on unknown facts about India, then please share it with your friends and family members on Facebook and Whatsapp. Einstein believes that Indians are Stupid. Was he right or wrong? Why rent or lease agreement is only for 11 months in India?